Love how efficient and techy this stroller is! Love reading all your posts and keeping up on the growth of the family. left a comment on you Instagram. This stroller seems so unreal it's crazy. I didn't even know something like this existed. crazy. :) will have to read up more on these products. Amazing product. Can't wait to get my hands on one. Love 4moms!! 4moms is the best for making our lives as easy as possible! 4moms really does "reinvent" baby equipment. This stroller is gorgeous and they have thought of everything a parent would want. I love that this would accommodate an older child too. That front and back suspension sounds wonderful. Who wouldn't want a nice, smooth ride and a stroller that's an ease to push. What a beautiful stroller! I would love to stroll around with my baby in this elegant stroller. The LCD display is so awesome! This stroller is amazing ���� Definitely wish I could own this as boy! We intend to frequent our surrounding beaches and parks this summer. Such a beautiful stroller would be nice to take along. It's definitely a statement piece. I would love to win this stroller!! Looks so amazing! Amanzing! Like eveything 4moms does! Would love to win! This stroller looks so amazing!!!! Hold on, what is going on?! There is a stroller that can charge a phone and tell you how far you've walked??? I've never heard of this stroller before but oh my, that's amazing! Thanks for the info! what an awesome stroller! I have a clunky old graco and would LOVE this fab upgrade! Thanks for sharing your experiences and tips. You have a beautiful blog! one of your followers: thepaigemode). What a perfect stroller for the Oregon summer weather, and for the multitasking parents! This stroller looks so comfy! around! I'm obsessed with the look and quality of this stroller. Soo goood! Love the look of this stroller! 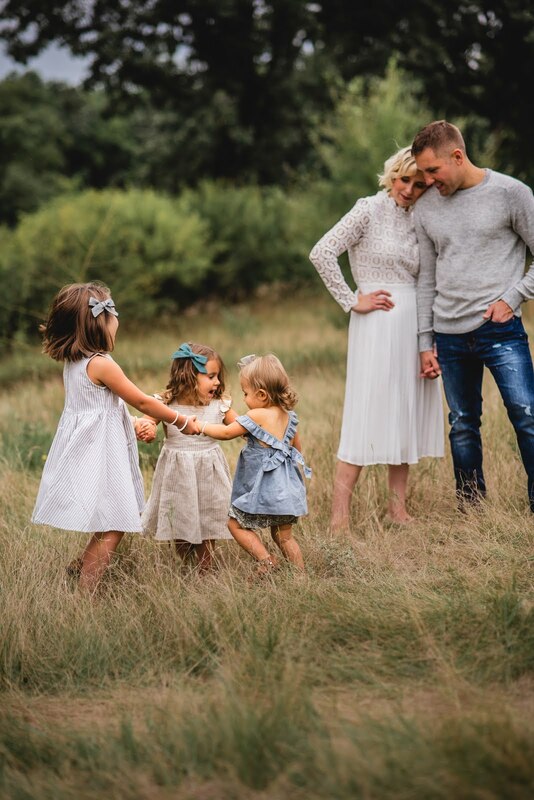 We have one toddler and another on the way. This would be perfect for our adventures outside! It's my dream style stroller than I definitely can't afford right now! Everything about this stroller sounds awesome!! We are having our third and are ready for something fresh and new! Love the look, functionality and style!! Thanks!! 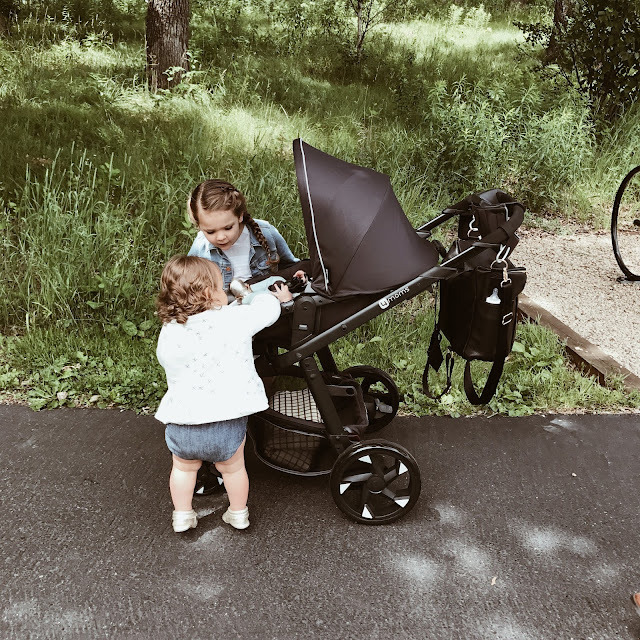 I've always loved 4moms products and this stroller sounds amaaaaazing! This looks and sounds amazing! 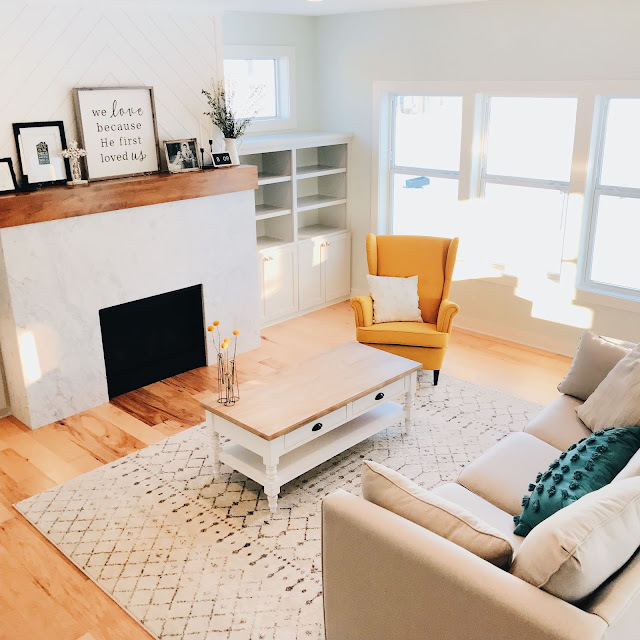 It would be perfect for baby number #2 for us! I love all the tech features and love the overall look! I adore all of 4moms products. This would be perfect! �� Thank you so much for doing this giveaway! My name is @emilymkeener on Instagram! Such great info! We are in the market for a stroller for our new baby after 5 years of being baby-less! Ok. Seriously. I need another baby just so I can have this!! Praying super duper hard!!! We've been eyeing this stroller for a while now! 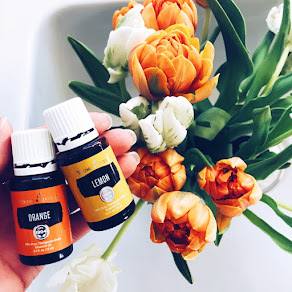 ������ such an awesome post and giveaway! My fav insta-mommy, love to follow and I love the 4moms stroller! Fingers crossed! I have yet to see one in person and maybe that's a good thing because I would want to keep it for myself ;) what an amazing product. I love the look of it and how it can grow with baby from bassinet to toddlerhood. It looks like a great stroller! Hi! I'm a first time mommy, in the waiting stage currently �� today is my due date. This is such an amazing giveaway and will definitely be a huge Blessing for whoever wins! This looks like an amazing stroller! Thanks for the giveaway! Would love this stroller for our first little one! I love how technologically advanced this stroller is with the LCD dashboard, also the many different seat positionings. It's awesome that this stroller can be used from. Roth to young childhood, I especially love that the seat converts to a bassinet, you don't see that feature on other strollers. But, mostly, in agreeable with you, I have to say I LOVE the sleek design. It is a beautiful stroller. Gorgeous family and stroller look fabulous, Arther will like to ride in it! I can't believe how amazing strollers are now! Love it! They thought of everything. My little man loves to be outdoors so we go on lots of walks and outdoor "adventures," this would make it so much more fun and interactive to be able to have him facing me so we could share what we see on our walks. I love that it can charge my phone so when we go on long walks we don't have to worry about anything. Baby gear is so amazing these days! I love how easy this looks to use! My husband will deploy just a month after our baby is born so gear that makes my life easier (as I will be doing it all on my own! ), would be such a blessing! Wow! What an amazing stroller. I am expecting my fourth and my mind is blown how far strollers have come since my first child. I love the versatility of this stroller. So many unique features. Thank you for the opportunity to win. Wow, how amazing would it be to win this for our first little one due in September! This stroller looks so comfy, sporty and strong! Perfect for trips up the foothill path behind our home! I'm glad I've found your blog, via the giveaway on Instagram, it's beautiful and brilliant! @disney_dre on Instagram. Hello from Instagram! What a fab stroller! And such a great post! My husband and I are expecting our first child in November and would love to see her in this sweet ride! xo! This stroller is perfect!!! What else would you need?! Reviews of product super helpful for this mommy to be! This would be such an amazing addition to our family! Hoping to win your instagram giveaway!! Wow! That is an awesome stroller! I would love to win it!!! I have a 10 week old and after a tough post c-section recovery am starting to incorporate exercise into my daily routine again. 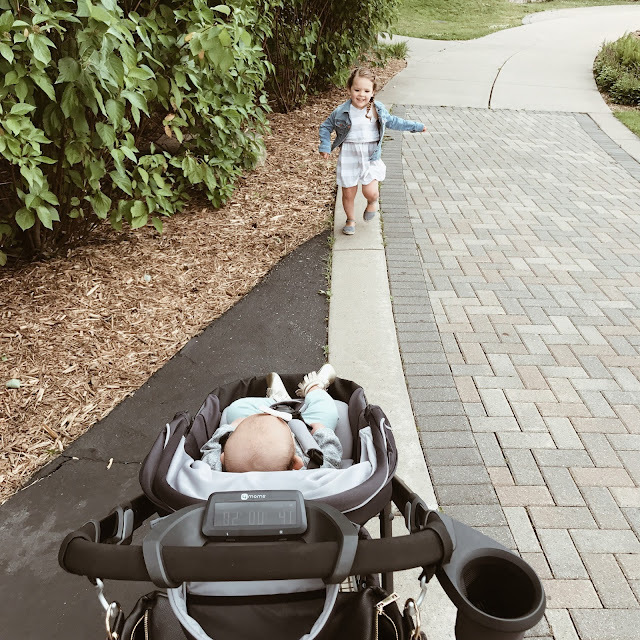 Living in a big city, walking around is the mode of transportation I use most so this stroller would be ideal to use, especially now that summer is here and school is out. We will be out in the parks and playgrounds nearly every day. Yay for summer! Thank you and 4MomsHQ for such an awesome giveaway! Good luck everyone! I'm Brittney and a new mom! I've heard how important it is to have a travel system that makes things fluid but is a quality item as well. This stroller is beautiful! I like that it has the calorie counter and distance tracker, anything to keep me accountable post baby :)! I'm excited to follow you on Instagram! Amazing blog, first time mom over here. We've went through so many strollers and they can't hold up to our very busy lifestyle. The 4moms stroller looks amazing and I know it'll be excellent quality like the rest of their products. We absolutely love the highchair! So cool that it can hold up to 55 lbs! I have a large 21 month old and we've already maxed out one strollers weight limit! Love the design too. Thanks for sharing! 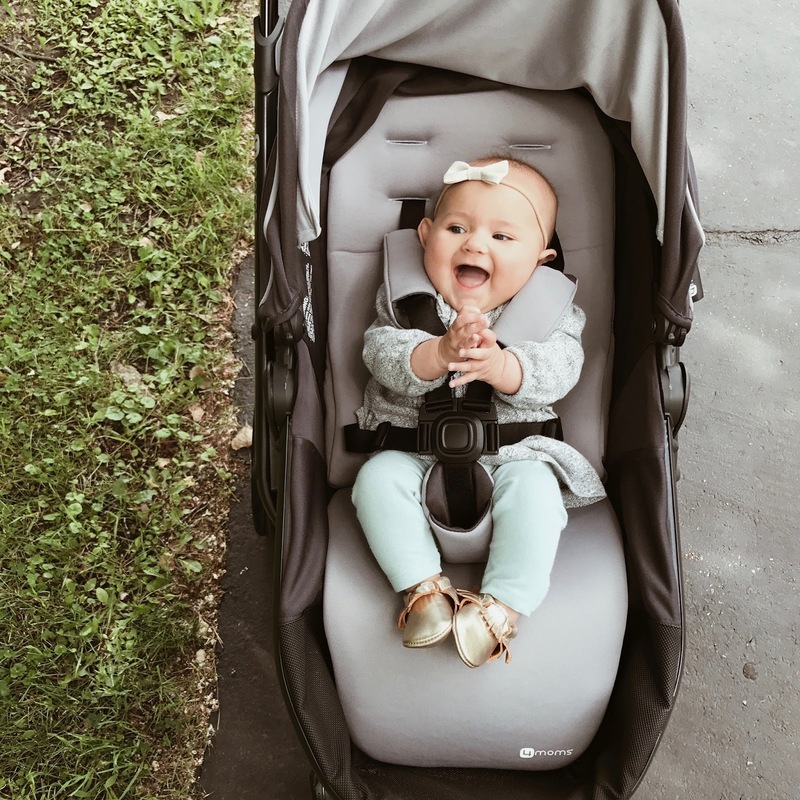 This stroller looks so beautiful and convenient! My seven month old would love it! I also commented on Instagram! I found your blog through the 4mom's Instagram page. ( @dbottcher87) I always thought that the Moxi stroller was sleek and very cool but I had no idea all of the awesome features that it has. It would be great to help me get back into the swing of exercising after baby number two arrives this August! Thanks for the great review!! Looks like an awesome stroller! Love 4 Moms products and would love to win this stroller! Commented on your insta page, and I'm following as well! 4moms products ate amazing! I LOVE that this can parent face. What an amazing stroller with such differentiating features! Definitely adding to my registry! I love seeing all the wonderful things this stroller can do! I have only owned 1 4moms product (the original mamaroo) and it was awesome! I would love to be able to try this stroller out too. I love that the seat can be used as a bassinet! What an awesome stroller! All 4 moms products are so innovative and cool! I love this!! I love the One hand recline feature! I also like the 3 recline options! Looks like a great stroller! What a fabulous chance to win, our baby is due to arrive July 22nd! This stroller looks lightweight and easy to clean. 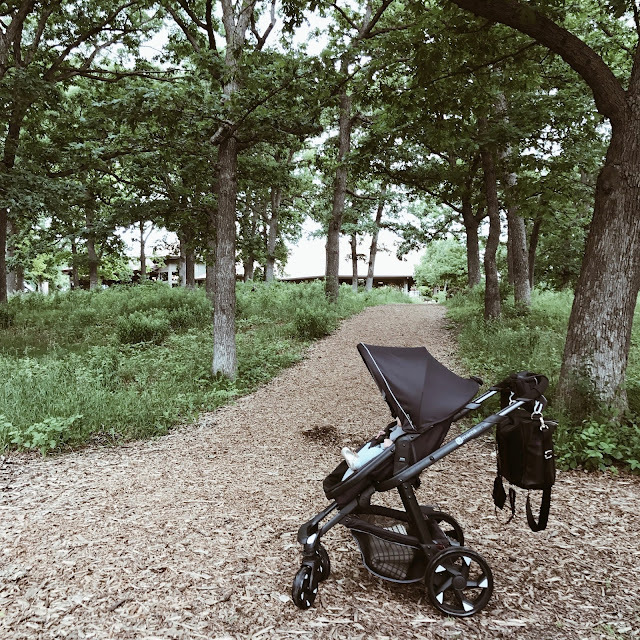 I love the versatility of this stroller and also love that it's compatible with the 4moms self-installing carseat. This stroller is AMAZING! It looks like it folds up so small, too! That is a HUGE bonus!! So many great features. Especially like that you can convert to a bassinet easily! Love this stroller so versatile! This stroller looks great! Would love one for my baby girl!